This entry was posted in Sotheby's Auction House News, Sotheby's International Realty News, Sotheby's Significant Sales Around the World, The Good Life Starts Here... and tagged Market Trends, Sotheby's Art Auction, sotheby's at auction, Sotheby's Auction House on June 23, 2016 by Harry Kolb. Enjoy exclusive content from our luxury magazine in print, online or on your iPad or Android tablet. Vast, sprawling land, state-of-the-art amenities, inspiring panoramas and meticulously designed architecture define these homes from some of the most sought after destinations the world over. Discover the unprecedented majesty of these exclusive homes, all listed at $100 million and above. The car-collecting world has enjoyed such growth during the past decade that rarely does a week pass without a major event for classic automobiles. Yet ask any enthusiast to name the one occasion they would wish to attend more than any other, chances are they will say California’s Pebble Beach Concours d’Elegance. This entry was posted in Sotheby's Auction House News and tagged montecito real estate, Sotheby's Art Auction, sotheby's at auction, Sotheby's Auction House, Sycamore Valley Ranch on August 5, 2015 by Harry Kolb. Monet’s view of Venice, Le Palais Contarini, is the star lot of the Season at £19.7m. LONDON – JUNE 19, 2013 – Sotheby’s London Evening Sale of Impressionist & Modern Art totalled £105,939,000, exceeding its pre-sale high estimate of £74-104 million. Driven largely by the strength of the diverse offerings – fresh-to-the-market estate property, sculpture, and classic Impressionist works – the sale attracted global competition. Monet’s 1908 view of Venice, Le Palais Contarini, provided the highpoint of the evening, becoming the top selling work of the London summer season, when it sold in a tense three-way bidding battle for £19,682,500/$30,828,700/€22,998,940. Moments earlier in the sale, a pristine example of a quintessential work by Piet Mondrian, Composition with Red, Yellow and Blue (1927) – his most favoured combination – was fiercely contested by five bidders. The winning bid was cast by a telephone bidder and the work fetched a final sum of £9,266,500/$14,514,119 (est. £4.5-6.5) – a price reflecting the rarity of seminal works by the Dutch artist on the market. The auction was 81.7% sold by lot and was characterised by broad participation from bidders across 33 different countries on the telephones, in the saleroom and online. The sale saw a record number of participants from Asia in a London Impressionist sale. This entry was posted in Sotheby's Auction House News and tagged sotheby's at auction, Sotheby's Auction House on June 19, 2013 by Harry Kolb. 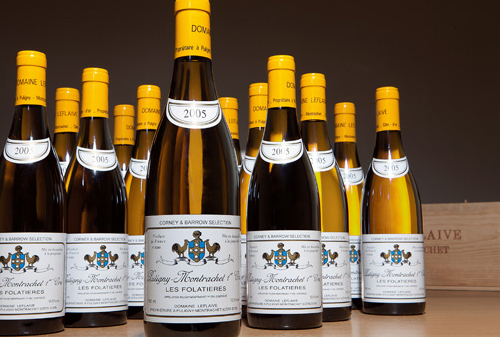 Sotheby’s Wine business, led by Serena Sutcliffe MW, comprises the most experienced and successful team in wine auctioning. Sotheby’s has been selling wine in London since 1970, in New York since 1994 and in Hong Kong since 2009. The department takes pride in offering only wine in the best condition and with excellent provenance, and the team’s well-earned reputation has attracted many of the most prestigious collectors and discriminating buyers in the world.The upcoming sale of Finest & Rarest Wines will take place on 17 July 2013 in London. Whether you are a seasoned or a new collector, our client service representatives and specialists are available to assist you should you have questions regarding buying or selling, or wish to have wine from your collection valued. This entry was posted in Sotheby's Auction House News and tagged fine rare wines, Sotheby's Auction House on June 14, 2013 by Harry Kolb.